One of the first things any Side by Side or UTV owner adds to their machine are mirrors. We carry a huge variety of the best UTV mirrors for your vehicle. 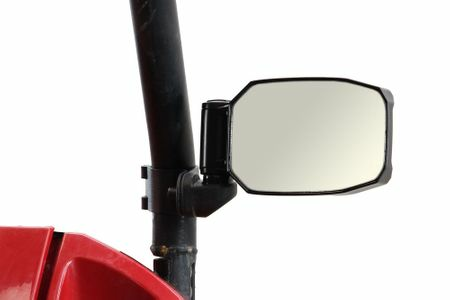 Rear view mirrors, side view mirrors, breakaway, whatever mirror you're are looking for we carry it. 1.75" Roll Cages are common for UTVs and that means 1.75" mirrors will fit a variety of UTVs, including the: Polaris Ranger, Polaris RZR, Yamha Rhino and Arctic Cat Wildcat along with many other machines. Joker Machine UTV Billet Folding Mirror - 1.75"
Joker Machine Rear View Mirror - 1.75"